International organizations and experts are to send observers to monitor the April 17 presidential election in Algeria, Foreign Minister Ramtane Lamamra said Sunday. “Along with the Arab League mission which includes 110 observers, the African Union has decided to deploy 200 observers to monitor the presidential election,” Lamamra said in Cairo after signing an agreement with the League. The foreign minister, quoted by the national news agency APS, added that the Organization of Islamic Cooperation would also send observers. The European Union and the United Nations will be represented by two groups of experts to provide technical monitoring of voting, Lamamra said. Last November, he said Algeria accepted as compatible with its legislation 17 out of 32 EU proposals issued by a European delegation which monitored local and general elections in May. Delegation chief Antonio Panzeri from Italy said such access was essential for a free election, and that the EU wanted “a resolution of this problem before the presidential election”. 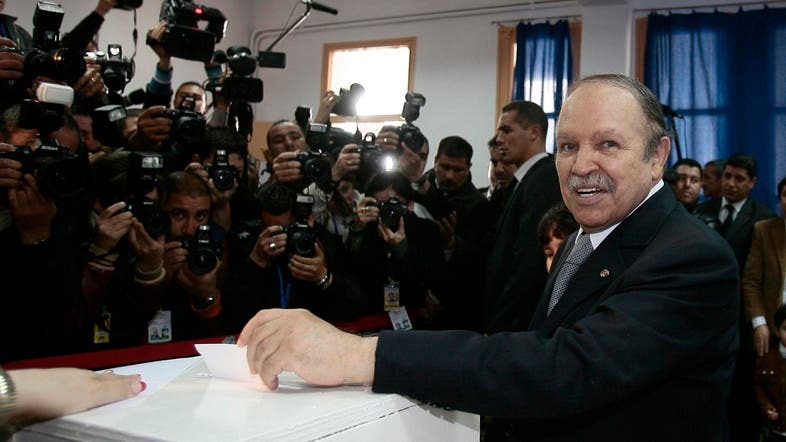 Twelve candidates have registered for next month’s poll, with 77-year-old incumbent Abdelaziz Bouteflika widely expected to win a fourth term despite health problems that have kept him out of the public eye for months.